Little whimsical twists in the decor, small touches of tradition and decadent luxury set Munnar Inn is a hotel apart from the riff-raff. It is flawless, comfortable and very inviting. You will get caught up in a world where surprise never ends. 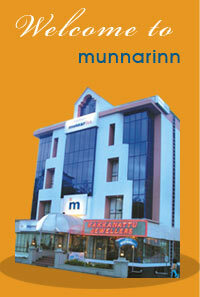 Come to Munnar, check in Munnarinn the only prestigious hotel in the heart of Munnar.